Gorgeous glitters ahead! Put on your shades, because there's some serious sparkle about to go down. 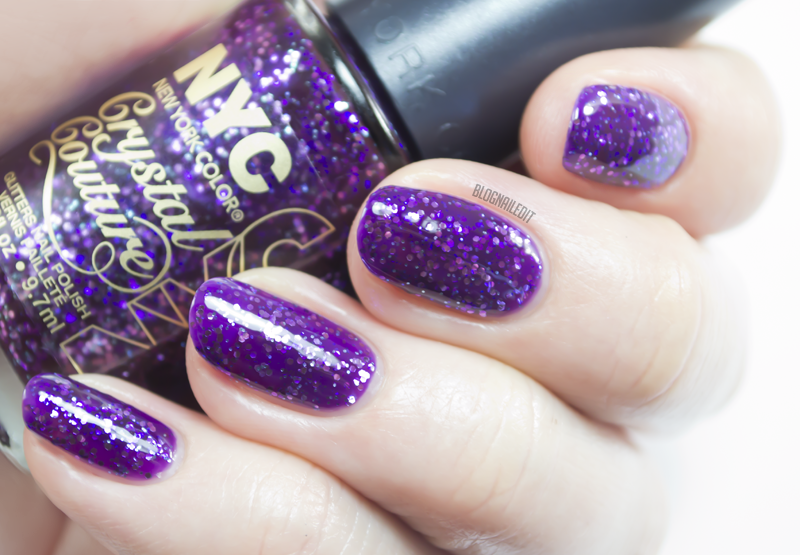 NYC (or New York Color) released a lovely line of super sparkles, called Crystal Couture. 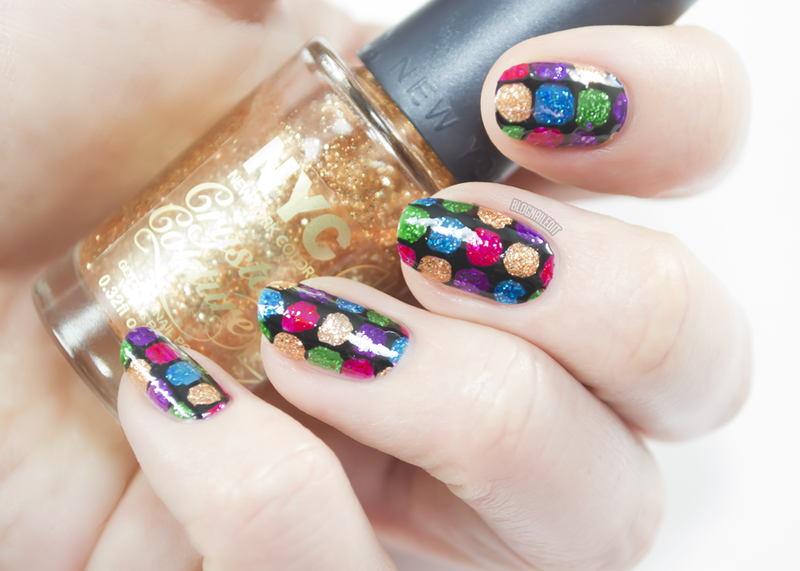 If you visit that link, you'll only see 4 glitters, but I have 6 to share today! The best thing about this line, in my opinion, is how the jelly the glitter's suspended in is actually quite opaque, so it works great for nail art. Like this stained glass stunner I did for you. Nope...it's not a stamp or a wrap...it's freehand nail art! See how beautiful and bright those glitters come across? Let's check them out on their own. 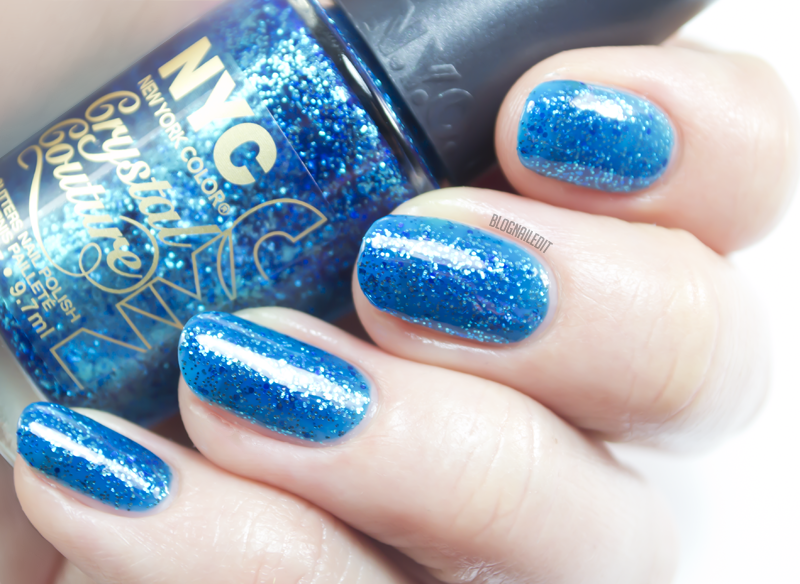 Blue Majesty (3 coats) is an aqua blue jelly, with an array of glitter pieces, all in blue. Nice and royal, just as its name suggests. Fashion Queen (2 coats) is another glitter with excellent coverage, sort of a gold-bronze shade. The glitter within it are all small. NY Princess (2 coats) is my favorite. Look at how luscious that jelly base is! It's a great grape jelly with a variety of glitter sizes. 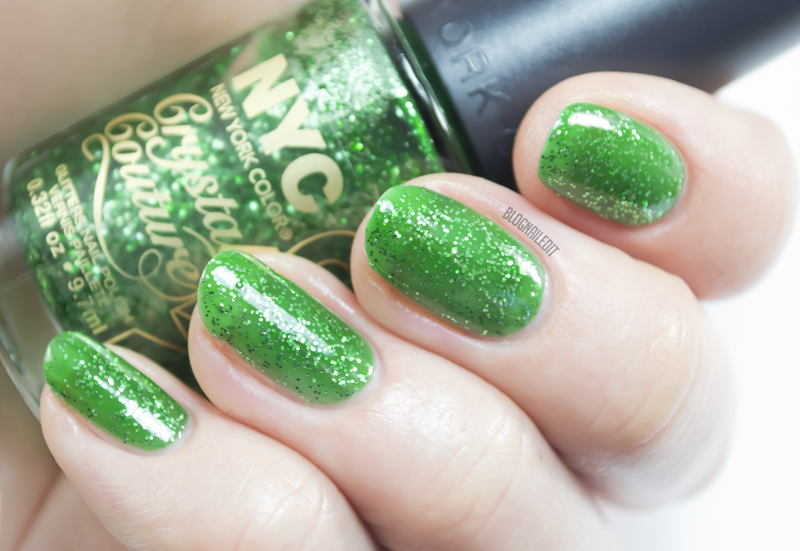 Queen's Jewels (2 coats) is a grassy green jelly base with glitter running about the same size. 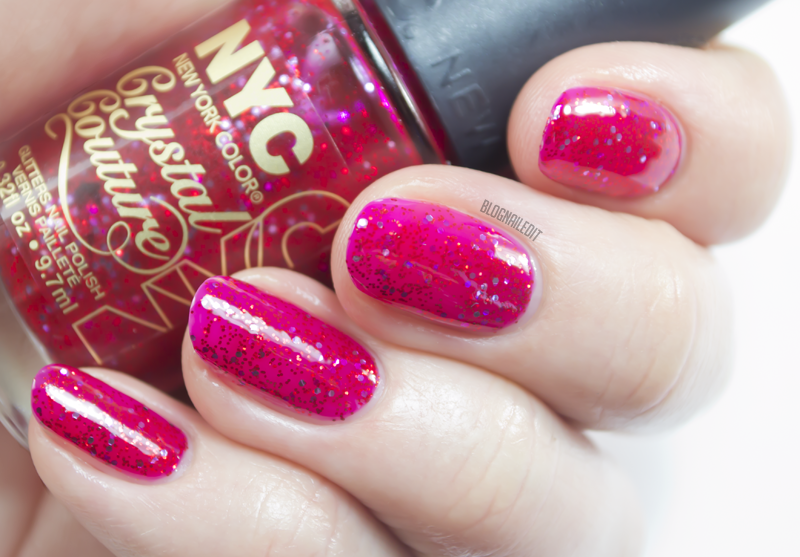 Ruby Queen (2-3 coats) has varying sizes of glitter suspended in a strawberry jelly. Couldn't you just eat it up!? 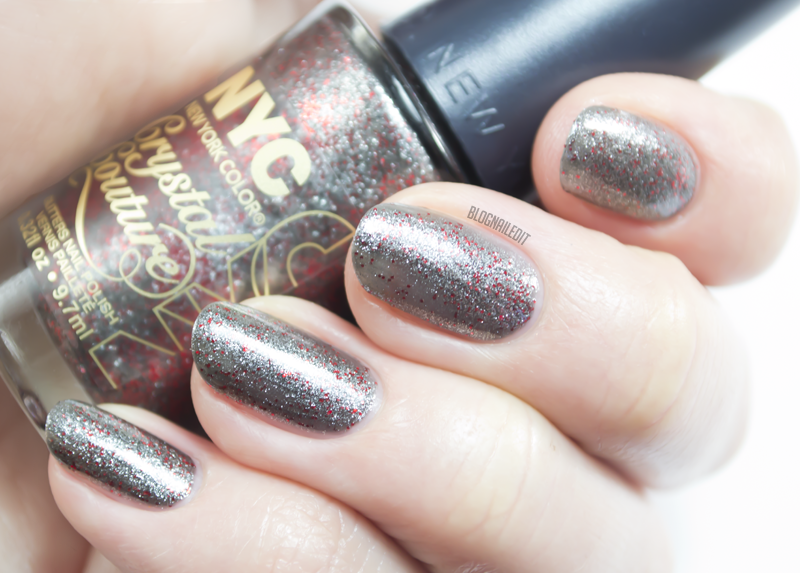 Finally, Rule the City (2 coats) is a charcoal grey foil with little flecks of red sprinkled throughout. NYC is readily available in most drug stores if you're looking for this line. They are totally awesome! Will have to keep an eye out for them. Beautiful manicure! Those are some gorgeous polishes.